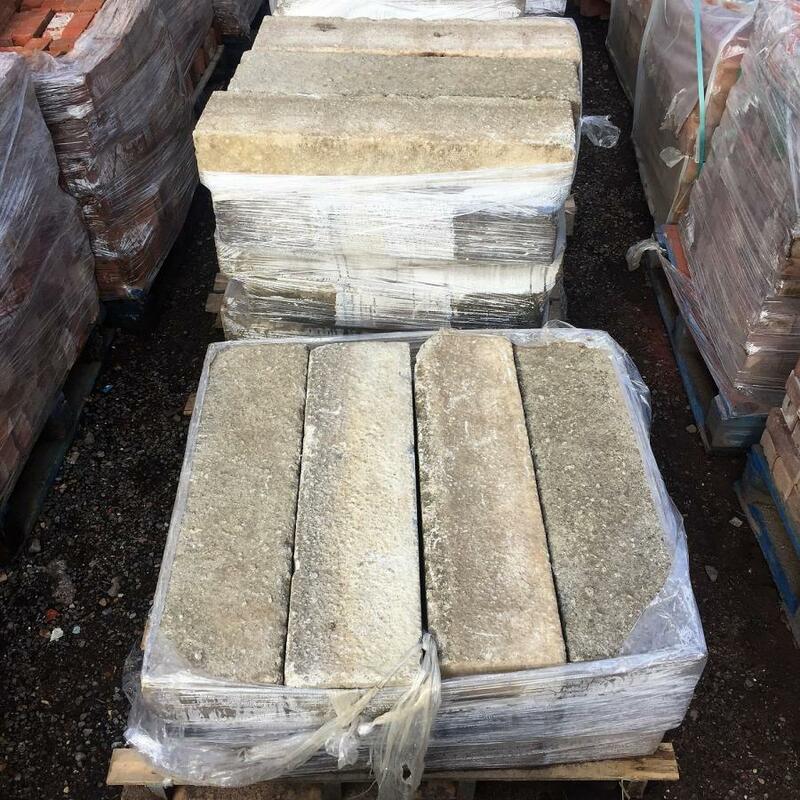 A large quantity of reclaimed granite kerb stones. 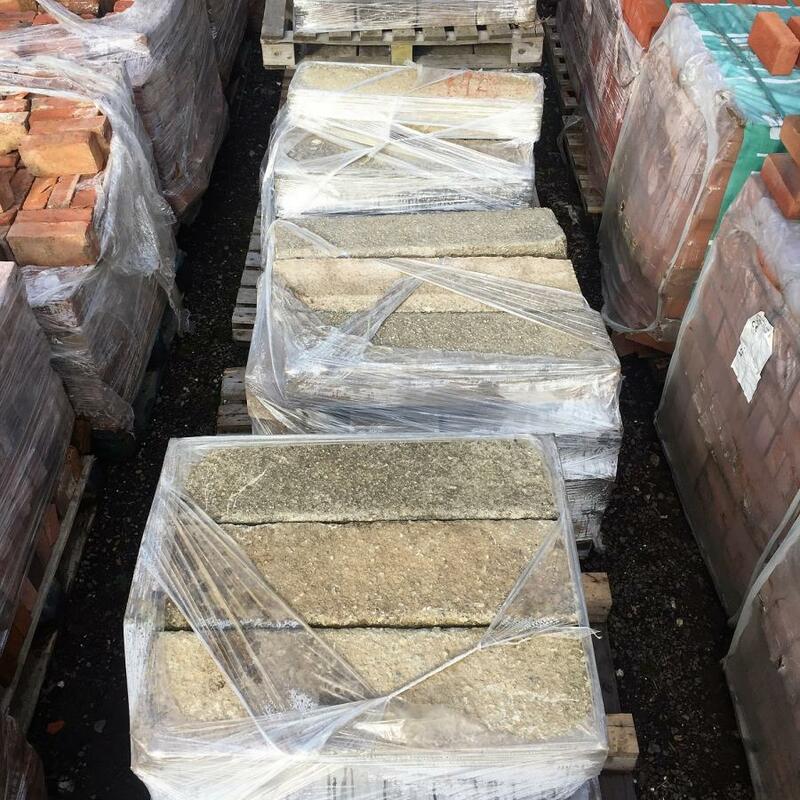 These stones have good coursing and are palleted and ready for collection. In excess of sixty pieces. Dimensions: 91cm long x 25cm wide x 14cm high Priced individually at £30+VAT each.